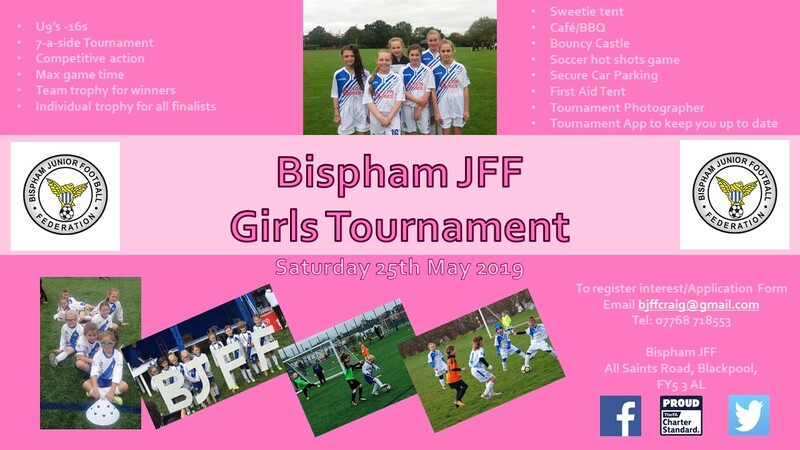 We would like to invite you to the BJFF Annual GIRLS End of Season Football Tournament to be held on Saturday 25th May 2019. 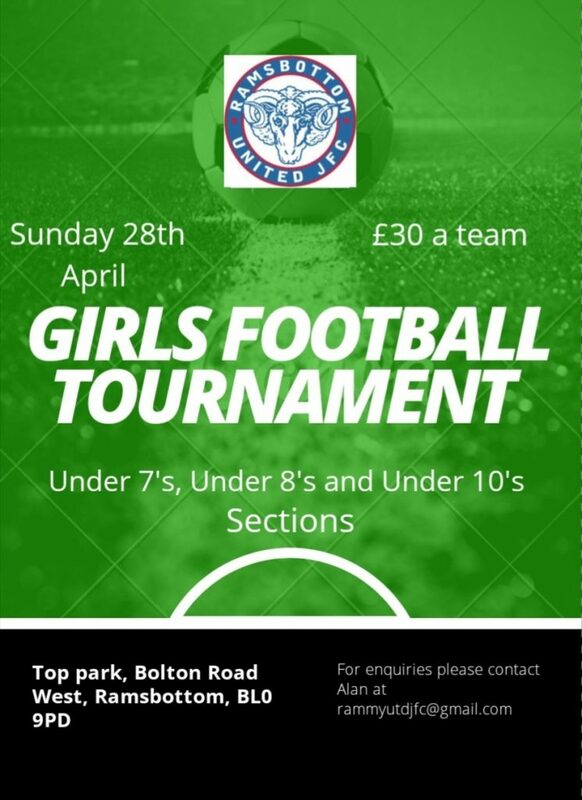 The tournament is for U9’s to 16s and is based on the 7 a side format. 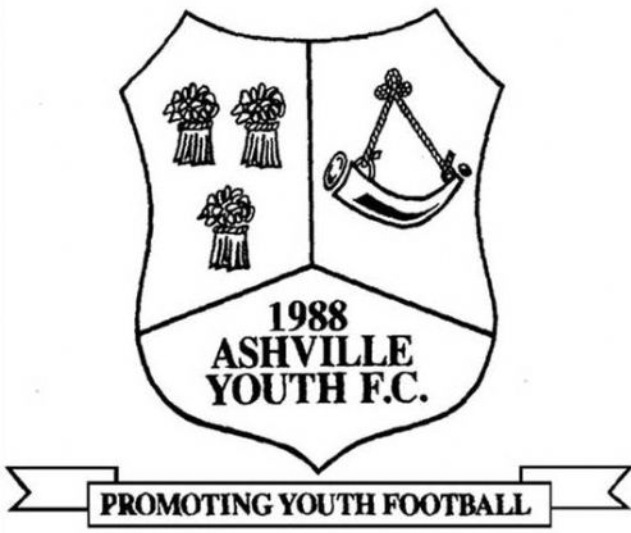 As our tournament is an END of SEASON event, the age groups used in our tournament will be the age groups for the 2018/2019 (i.e. CURRENT Season). The tournament is to be held at our home ground, on Bispham Gala Field, Blackpool (postcode FY5 3AL). There will be a limit on the number of entries per age group, so we would urge you to ensure your application is submitted to us early, so that your place can be confirmed. Last year we were booked up at most age groups well in advance of our tournament. We always have fully qualified officials to officiate in ALL competitive games. We have our BJFF Community Hub / Crossbar Cafe fully functional to support our on-field presence. Plus our Sweetie tent offering Ice Cream, slushes, candy floss, Ice Lollies, Sweets and cold drinks. We will be welcoming an Official Tournament Photographer capturing all the action on the day. Should you have any further queries or if you would like to confirm your interest to attend the tournament, please do not hesitate to contact Craig via e-mail or mobile.